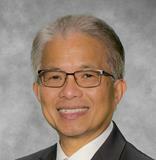 Lionel Madamba has been in real estate since 1988. Focused, persistent, dedicated and detailed, he transitioned into real estate after graduating with a Doctor of Dental Medicine in the Philippines.. Initially drawn to real estate for a desire to develop creative solutions to issues, Lionel enjoys being a part of life-changing moments and assisting clients in the buying and selling process. Describing his first transaction, Lionel said he was very nervous, but is always excited working with the first time home buyers to achieve their dream. Successfully serving my investors in finding viable investment properties locally and nationally. He has been involved in all aspects of Short Sale transactions, listing and selling Bank Owned properties. Knowledgeable with the aspects of NOD's (Notice of Default) and NOTS (Notice of Trustee Sale) transaction. Lionel enjoys playing golf, entertaining friends and family, spending time with his four daughters. His biggest inspirations are his Christian faith, and his daughters, who inspire him to become a better person. His goal for the next year includes continuing to help his friends and clients by closing more transactions, fitting in a few games of golf but most of all to continue doing his ministry of helping the less fortunate.